Get yourself an exclusive piece of art at a London Tube station next week for free! As part of the #LondonIsOpen initiative, London Mayor Sadiq Khan commissioned Sol Calero, Alexandre da Cunha, Jeremy Deller, David Shrigley and Mark Titchner to create posters on the theme, and now there’s a chance to get a copy for your home. Limited edition prints (in a run of 5,000) of each of the posters will be given away free at Tottenham Court Road, Vauxhall, King’s Cross, Shepherds Bush and Stratford stations on Thursday 10 November 2016 from 7.30am. 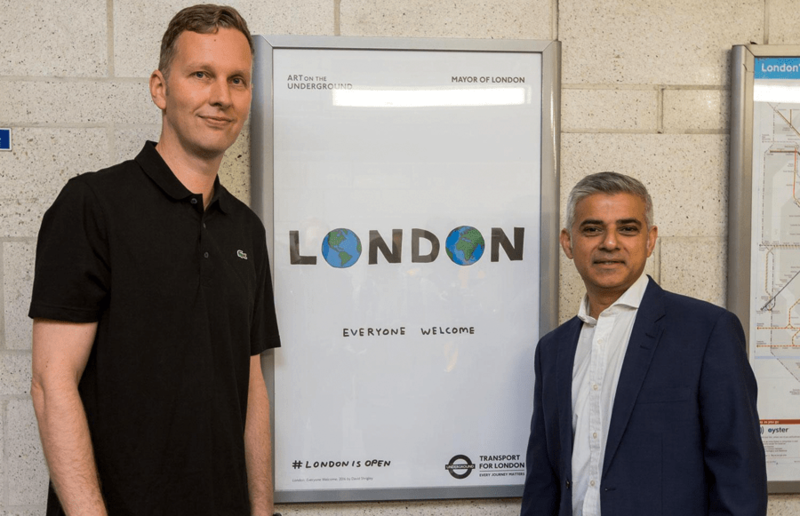 “Each station will have its own exclusive artwork, based on the themes of openness and diversity championed by the London is Open campaign,” says Art on the Underground, which is organising the scheme. If that wasn’t enough, they’ll also be badges and limited edition postcard sets to grab. These will feature the work of Tania Bruguera, Hew Locke and Indra Khanna, David Shrigley, Mark Titchner, Gillian Wearing and Bedwyr Williams that have been running on digital screens across the Tube network since July as part of the #LondonIsOpen programme. 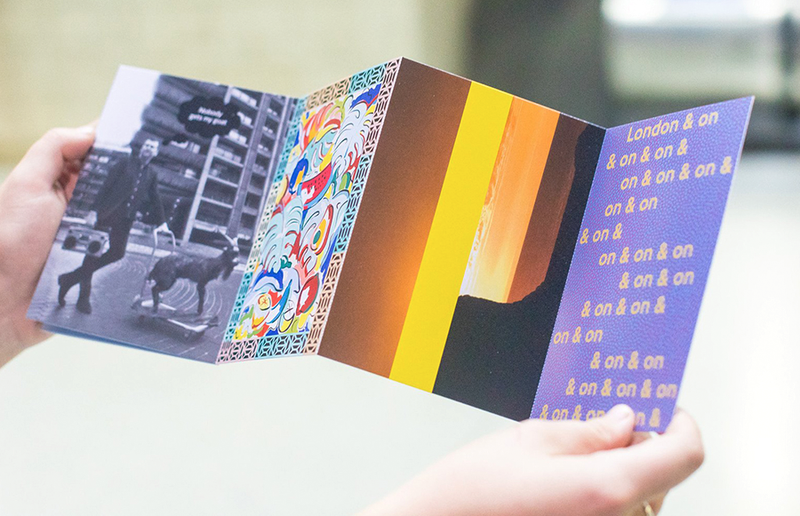 The postcards encourage the public to write to friends and spread the message that London is open to all. Fifty one-off Jeremy Deller tote bags will also be available from 7.30am to the first customers at each station. The #LondonIsOpen giveaway begins on Thursday 10th November at 7:30am across Tottenham Court Road, Vauxhall, King’s Cross, Shepherds Bush and Stratford stations.